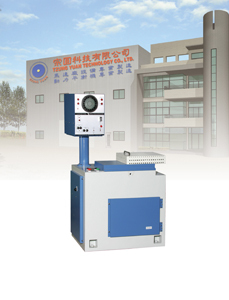 Tzung Yuan Technology Co., Ltd., originally incorporated in 1980 as Wu Tsung Electrical Machinery Co., is a specialized manufacturer of both traditional and computerized balancing machines. The company boasts that its specially designed machines can fully meet customer's most critical requirements for mass production, reduced production costs, high efficiency, high reliability, and extended operating life. Tzung Yuan mainly supplies assorted balancing machines, ranging from traditional models to digital micro-computerized ones. With a seasoned team dedicated to product R&D, the company has built solid reputation in the U.S., Japan, the Philippines, Iran, India, Indonesia, Vietnam, Dubai, mainland China, Hong Kong, Sweden, Malaysia and Thailand. The company has extended operations to mainland China by establishing such subsidiaries as Dongguan Wuzhen Electrical Machinery Corp., Kunshan Pufo Machinery Equipment Corp., and Jiangsu Beiqiao Corp.
Boasting strong research and development capability, Tzung Yuan has developed a wide range of balancing machines for various lines, including car-axle-assembly balancing; micro-computerized vertical balancing; standard microcomputer controlled vertical balancing; automobile drive-shaft balancing, micro-control balancer, digital micro-computerized dynamic balancing, digitalized dynamic balancing, and so on. The company's machines are widely employed by manufacturers of cutters, motors (especially for home appliances), automotive brake disks, pumps, flywheels and fans etc. Tzung Yuan’s standard micro-computerized-controlled vertical balancing machine. Company:TZUNG YUAN TECHNOLOGY CO., LTD.